In the alleged hiker community, there seems to be a backlash against people profiting off their work aimed at users of the outdoors. This backlash is mainly on-line based with some spillover into “the real world”. I am not sure what the root cause for this backlash may be, though I have some ideas. If someone writes a guidebook, sells a memoir, offers photos or even has some affiliate marketing links, then somehow the person is “selling out” or misguided at best. Curiously, if someone makes gear, then there is hardly a peep. 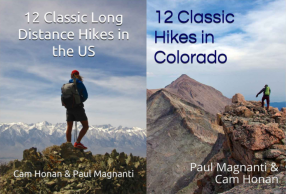 The hiking community is full of people who have really done a great service to help others. Thank you! At the same time, others seem like they are more out to make a living off of the hiking community. First, very few people are making a living off the hiking community. At most, any income is an adjunct to a day job. In my own case, I receive a modest amount of money off some writing, the occasional photo and if someone decides to purchase something via an affiliate marketing link. If I lived on these proceeds, I’d be broke. Truth be told, it covers an occasional purchase of gear and part of the gas money at most. My day job is much more lucrative. But, even if a person does make a “living off the hiking community“, I am not sure why that is a negative purpose. A person invests time and money and becomes a person who is knowledgeable about a subject. Certification and/or skills are acquired. A product is produced based on experience. That product might be a book, or articles, photos, guiding or talks among other things. The argument is that some of this overpriced…but overpriced for what? If people are willing to pay for a product, then is it overpriced? In the case of a guidebook, I have no desire to pay for something like the Rocky Mountain National Park guidebook. But, I am very comfortable with looking at a map for routes and looking at such sites as SummitPost for additional information. Someone busier than myself (and, perhaps, less comfortable with looking at a map for routes), may prefer to spend the $20 for route information that is laid out ahead of time. I’ve made similar observations before for guided trips. People will pay if they think a service is worth something. If not, the person providing the service will lower their price and/or no longer offer the service. It is how capitalism works. Capitalism has its faults. But a positive about it is that a product will wither, flourish or change depending on what people are willing to spend for a product. No money? No offered product. Take the music industry… Currently, many compact discs (CDs) costs $9 on Amazon. In 1992, the same CD would cost $17. Or $28 in 2014 dollars. Why the sharp decline in pricing? Because people, overall, do not want CDs any more. They scratch, aren’t easily portable and take up a lot of space vs an iPhone that has access to a vast library in the cloud or even stored locally in MP3 format. People no longer see CDs as being worth $28 a piece. Obviously if someone is buying a product, then there is some value to it for many. I may not care for Wild, but I also don’t question Cheryl Strayed’s motives or think it is awful she is profiting off the book when there are many “better” (subjective term) authors. I just go “meh” after reading the book, move on with my life and read books that are more interesting to me. I think On The Beaten Path is a superior book. Other people do not, have not heard of the book, or are not interested. But I am not going to get upset because a book I like more has not done as well. Mind you, criticizing a work because you do not like it is one thing. Criticizing a person because what they did to produce that work (e.g. making money off their hiking) is something else. If I have to work a non-fun job to pay the bills. Why should other people, who are no more qualified than I, get to do my hobby for money? Other people, including me, have done this before or even better. What’s so special about it? But I also see another strain. Call it the hippy syndrome. Where somehow it is wrong to “profit from a passion”. That to earn some money off what other people may do for free or fun somehow seems disingenuous. Real hikers do not write books, make gear, sell photographs, get sponsored by outdoor companies, give talks or benefit in any way, shape or form from their passion. All real hikers with any talent for the above do for free. If you are a real hiker with any kind of talent that may relate to the outdoors, consider finding a meaningless cubicle job that does not make use of your passion. If someone is fortunate enough to make a living out of their passion, they are not a real hiker. Make fun of them anonymously on the Internet! Oddly enough, I am not expected to perform my IT job for no pay, a mechanic does not fix a car for free and police, firefighters and EMS personnel receive a wage for their public service. Yet there is a backlash against people who provide an outdoor service for money. Esp if the person is very public and popular. A notion that somehow it is less pure perhaps to profit from passion? As for gear manufacturers not getting criticized for profiting through the outdoor community? Well, people like their gear…. And, I think, the thought process goes “Anyone can hike, but I can’t make gear!” So gear manufacturers are perceived as providing something of tangible value that can’t be done by most. But backpacking, gaining experience and then guiding a trip, writing, giving talks, writing a book, and so on based on the experience , AND making a living on it, are also things that can’t be done by most. If so, more people would do it…myself included. Having the time, ability, passion, right set of circumstances, desire and sometimes even luck are all needed. Instead, we have a lot more people criticizing what has not been, or can not be done, by them. 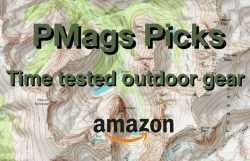 Mags, I agree with you 100%, though I think almost everyone who loves being out there wishes they could find a way to turn their outdoor passion into a living. I have a theory about why there seems to be a illogical attitude about anyone making money from their outdoor experiences. Out there, on the trail or in the backcountry, we leave behind society’s definitions of success. The ethos of the outdoors is counter-culture to materialism and capitalism. Trails are “The Great Equalizer;” everyone regardless of station in the real world gets dirty, stinky, and suffers the same hardships and highlights. Out there we begin to understand that the pursuit of money will not bring happiness, and only by leaving those things behind are we truly liberated. Long trails have been ruinous for many careers, and spurred many to live their lives differently. So the disdain for anyone perceived as pursuing money is really the clash of the trail ethos versus that of the workaday world we have to somehow survive. Pursuing money seems so diametrically opposite of what the trail teaches us. The ideals fostered in the outdoors put us at loggerheads with the very notion of capitalism or materialism. Of course, ideals can be wonderful things, and can serve us if we realize that the world we must survive in will not conform to our ideals. Food, shelter, and clothing all cost money. 80% of Americans are living from paycheck to paycheck, without savings, in an unstable economy. Disdaining anyone’s opportunity to cover their expenses is really what is counter to the caring nature of the outdoor community. We all should be cheering that someone found a way, and hope with loving hearts that it helps them. For others the backlash is not about the money; there abides a deep resentment of revealing the secrets and gifts to be found in nature to a broader audience. Experiences in the wilderness are so profoundly personal. Our very being shifts, wounds are healed, and our souls rejoice. No one wants to see that experience diminished, our sacred beloved shrine and its power diluted and trammeled by thousands, presumably unprepared and uncaring individuals. Of course, that sort of fortune-telling and projection may contain a kernel of truth, but it is making an egregious assumption that the newcomers are not like us, won’t be profoundly affected by the experience. I have met very few people who truly like change. Most people really seem to hate it. Anything that brings change is perceived as bad, even though human existence is a never ending process of change. If you’re telling others about the secret places, you are bringing change, and are therefore bad. The truth is our trails and wilderness needs to be supported and loved. There are too few, not too many, who will fight and vote to defend what precious space we have left. People are better for living for a spell in the healing power of nature, for finding new joy in simplicity. Anyway, your message really resonated with me. Thank you for indulging me in the ability to comment. The negative vibe I sense from hiking community seems more about sponsorships than profiting from a blog, merchandise, or book. I don’t blame anyone for trying to make a buck. And I totally agree with the” if you don’t like it don’t support it” mantra. But in reality, like you stated the target audience is very limited in relation to the overall population. The cool people are ones like yourself that do it for the hiker community and if a few coins come your way as a result that’s an added benefit. Thanks. I enjoy reading your posts and appreciate the resources you have shared. Personally, I don’t think there is anything wrong with being sponsored either (if the person’s pursuits don’t interfere with another person’s pursuit!) . But, as Andrew wrote, the “sponsorship” thing is not as lucrative as most people may think. 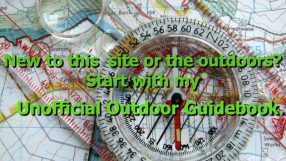 http://andrewskurka.com/2011/how-to-get-sponsored/ I can’t speak for him, but I suspect that is why many well known outdoor folks also write, do talks, consult, etc. Obviously more marketing swill from the PMags corporate empire. I saw the Backpacker course that Liz is leading, and thought it was clever. Not for me, but clever, and certainly valuable for some people. A good post, Mags, thanks. I tend to have a dirtbag mentally most of the time, l hate paying for information l can find for free, or a product l can make my self. I use Summit Post also, and used to contribute a lot to it when l lived in Peru. After my PCT thru hike in 2006 l started a small adventure travel business there, trekking and mountain climbing. It was a very enjoyable time but l didn’t make a lot of money. I priced my tours lower than most because l wouldn’t have paid the normal rates myself, as well as trying to offer a good deal to fellow dirtbags. I know l lost one potential client because my price was too low and he felt the tour must not have been any good. Since retiring l have had a chance to make some money by writing about my adventures but I’m too busy enjoying myself to take the time to do that. However if someone wants to profit from their ‘outdoor education’ that is great. We don’t expect those who have paid for a formal education to work for free. That said, l appreciate you, and others, who share your knowledge freely, and I’m glad you are able to receive some financial benefit from doing so. Thanks!